I was told that there are Rabbanim in Israel who believe that ink, even if it is דיו עשן , must also contain עפצים וקנקנתום . This seems to be in contradiction with Rishonim who said that ink with עפצים וקנקנתום is Passul. "ווטריולא [קנקנתום] שמשימים בדיו של עפצים ודאי הוא פסול שאין זה דיו אלא צבע." (מרדכי, גיטין, יט, ע'א, בשם אור זרוע). "דיו של עפצים אסור לכתוב ממנו ספר תורה - דהא אינו קרוי דיו" (ספר התרומה, הלכות ספר תורה, קצ"ה). "ועל כן היה פוסל ר"ת ס"ת שאין כותבין בדיו שלנו [שאין בו עפצים]" (תוספות, שבת, כג ע'א). It is also in contradiction to the Achronim who said NOT to add קנקנתום to דיו עשן . 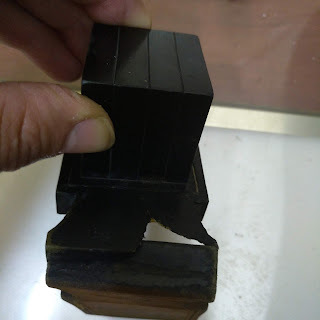 The Rambam says to add במי עפצים וכיוצא בו in order to help the ink stay on the klaf and not fall off. 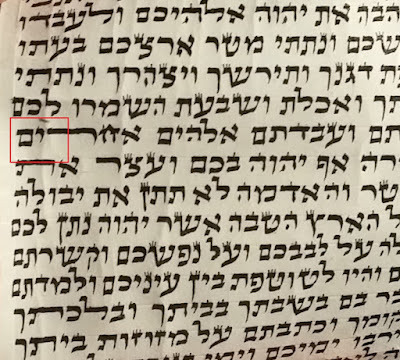 וכיוצא בו means that anything which helps the ink stay on the klaf is good, not just מי עפצים . The Shulchan Aruch says: יכתבם בדיו שחור בין שיש בו מי עפצים בין שלא במי עפצים. Again, עפצים are NOT mandatory. Sections ב, ג, ד . In view of the above, how is it possible to say that ink, even if it is דיו עשן , must also contain עפצים וקנקנתום ? Who says such a thing? Do you have a source? I know who these Rabbis in Israel are, but I don't want to publish their names to avoid the risk of insulting them in public. ר'ת holds that it must be only דבר הבא מן העץ excluding all other inks, irin gall and also the ink you wish to make! 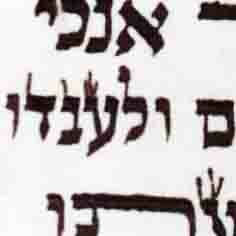 Once kankantom is added to ink it loses the name "דיו". How is it possible, then, to say that ink which is no longer called "דיו" by the greatest posskim, is the most mehudar? It should be the least mehudar. 1. First of all, of all the ingredients that can be used in ink, there are only two ingredients that are considered passul (not only assur, but passul) by some Rishonim. These two ingredients are עפצים וקנקנתום . It is absolutely impossible for something to be considered most mehudar, when there are Rishonim who consider it passul, and when there are other options with ingredients that everyone permits. הרמב"ם, שו"ע הרב, משנה ברורה, והרב קנייבסקי, all agree that only ink without kankantom should be used if possible, and only דיו עשן without kankantom is למצוה מן המובחר. 2. The argument of זה המנהג ואין לשנות is simply not true. דיו עשן was used since the days of Moshe Rabenu, and continues to be used up until today by those who know how to make it with good quality. Only those who did not know how to make good quality דיו עשן had no choice but to use דיו עפצים וקנקנתום which is easier to make. 3. The argument of זה המנהג ואין לשנות can lead to some dire consequences. As we can see, the argument of זה המנהג ואין לשנות is extremely flawed. 4. Whenever the poskim mention kankantom, they refer to natural kankantom which was mined from the ground. Natural kankantom is not only iron sulfate, but has also other ingredients which help stabilize the ink made with it. Today, natural kankantom is very difficult to obtain. All the ink makers now a days have changed the minhag of using natural kankantom and are using synthetic iron sulfate instead. If זה המנהג ואין לשנות were a valid argument, who permitted to change the minhag? Who permitted to abandon the natural kankantom and use synthetic iron sulfate instead? How come nobody screamed and nobody prohibited using synthetic iron sulfate because of זה המנהג ואין לשנות ?